Hi! I'm D. G. Driver. Welcome to my website. If you're looking for something to read, my site is full of excerpts, reviews, and links for all my published work. What's important to me? Kids and how they view the world. I'm an optimist, and if I have any goal at all as an author, it's to inspire hope. I like to write about diverse characters dealing with social or environmental issues and making an impact. I want my readers to be entertained, of course, but I also hope that at the end of reading one of my books they will be a little more aware of how they treat each other or the world around them. I am a multi-award-winning author of Young Adult and Middle Grade books and PAL member of SCBWI. Primarily, I write contemporary fantasy, but I also love some realistic fiction and have even dabbled in romance. I live near Nashville, TN and am a teacher in an inclusive classroom of typically developing and special needs children in an Early Intervention program. I called on my experience as a Special Education teacher and growing up with an Autistic brother in my children's novel No One Needed to Know. When I'm not writing or teaching, I might be found singing, acting, or directing in a local community theater production with members of my talented family. Visit my About Me page to learn a more about my writing career, links to my social media pages, my school presentations, and what I'm currently working on. My newest novel Lost on the Water, A Ghost story released last summer! This is a YA contemporary adventure novel perfect for readers 11 and older. Learn more about it and read an excerpt by clicking the image. Also! My newest original fairy tale novella, The Silent Beauty, released March 19th, 2019. Special Deal​ - Get my YA urban fantasy novel Cry of the Sea for only 99 cents at all ebook retailers. Enjoy this slideshow of all my full-length books. You can click on each image to read an excerpt, reviews, and find buy links. ​Or you can go to My Books page to see a full list of them. I have short stories featured in several anthologies. 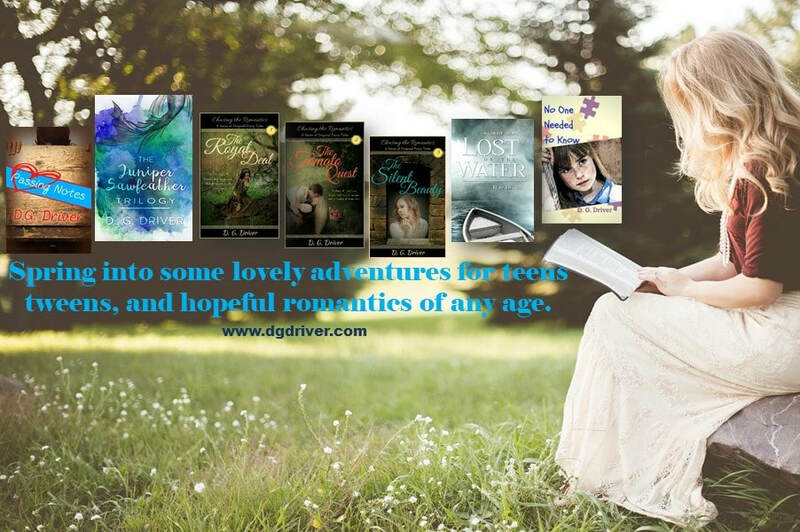 ​Find fantasy, romance, and children's fiction. You can learn about them all at Short Fiction and Plays or click on each image in this slideshow. Some of these ebooks are FREE!